Pickle Doodle Designs Giveaway! – It Works For Bobbi! Published on October 24, 2011 August 9, 2016 by Bobbi-Jo G.
And let me tell you..it is definitely a HAPPY Monday because TODAY I get to introduce you to my newest sponsor, AND let you in on a fun giveaway she is doing. Let me introduce you to Elizabeth from Pickle Doodle Designs! 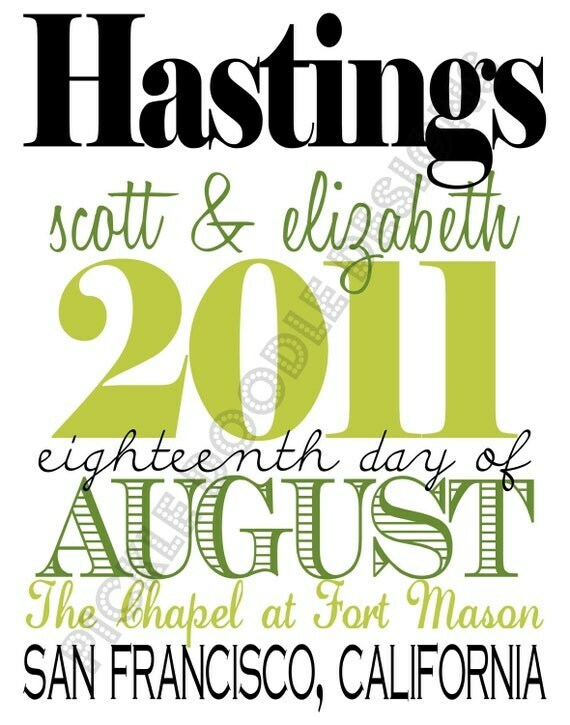 She designs prints, invites, cards, you name it! These are the perfect gift giving items especially for baby showers, bridal showers, birthdays, anniversaries, or even house-warming. You’ll love variety of the selections she has in her shop. Welcome, Elizabeth, as our newest sponsor and let me just say…I LOVE your stuff!! BEST NEWS YET? She is offering TWO giveaways!! 2. 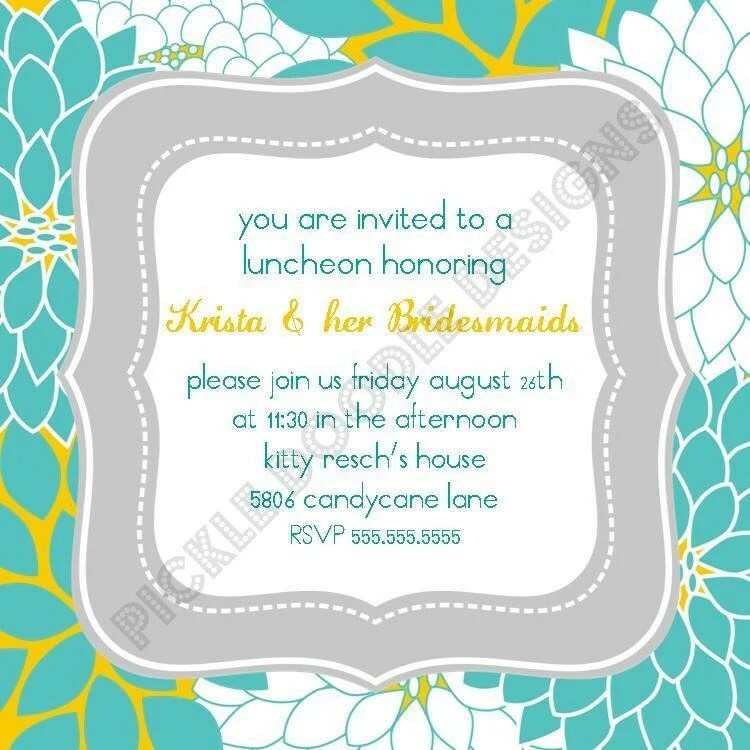 An invitation with coordinates! I absolutely love the clean, crisp look of her designs and the prices are fantastic, too. Each person can enter up to SIX times! That`s SIX chances to win, people. HOORAY! Leave a separate comment for each one that you do. 1. Visit Pickle Doodle Designs and leave a comment telling me which design you like! 2. Add Pickle Doodle Designs to your Etsy Circle! 3. Visit Pickle Doodle Designs on Facebook and “like” her page. 4. Become a follower of Pickle Doodle on Twitter! 5. Follow Elizabeth on her blog with Google Friend Connect! Just because Elizabeth is such a nice person, she is also offering ALL of us a coupon code for 15% off anything you purchase in her etsy shop!! Use the code GIVEAWAY15 at check out. You win no matter what! Welcome, once again Pickle Doodle Designs, and GOOD LUCK to everyone! Contest closes on HALLOWEEN so don’t wait to enter! Next Time to Get Organized! Creative Organization solutions round up! 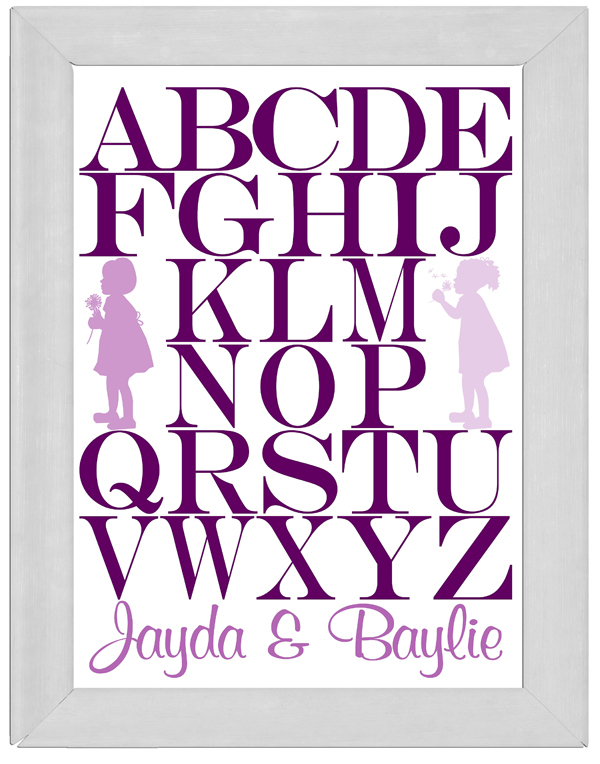 I love the alphabet nursery wall art! So cute! I like way too many to name one! 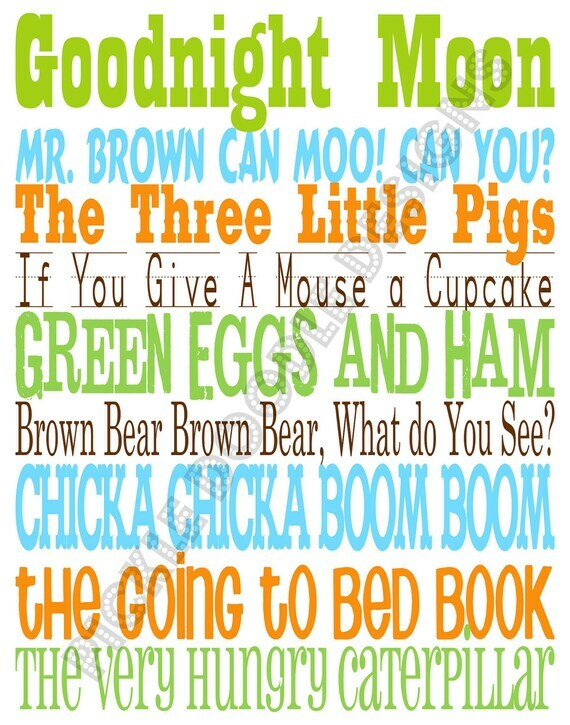 I like the alphabet ones (boy and girl), I like the kitchen one, and the all the book title ones. Oh, and I follow you too! I love the blue and black monogram. so beautiful!